Young adult sci-fi is hitting the big time, and I am one hundred percent behind the trend. 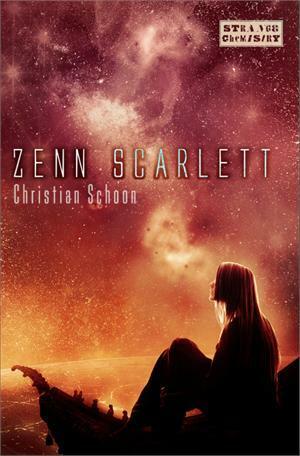 I’m trying to read more YA sci-fi in 2013, so when I heard about Christian Schoon’s Zenn Scarlett, a book featuring a girl living in a cloister on Mars and learning to be an alien veterinarian, I knew I had to learn more. Zenn is one of the most fascinating and unique sci-fi books I’ve ever picked up. Joining me today for an interview is Christian Schoon, the author who created Zenn Scarlett (and stay tuned until the end – there’ll be a giveaway!). Born in the American Midwest, Christian started his writing career in earnest as an in-house writer at the Walt Disney Company in Burbank. He then became a freelance writer working for various film, home video and animation studios in Los Angeles. After moving from LA to a farmstead in Iowa several years ago, he continues to freelance and also now helps re-hab wildlife and foster abused/neglected horses. He acquired his amateur-vet knowledge interacting with animals ranging from black bears and cougars to Burmese pythons, alligators and other exotic and local critters. 1) Your book features Zenn Scarlett (she of title fame), who is studying to be an exoveterinarian. How did you decide to feature alien veterinary science? Two-part answer: 1. I’ve been a deeply ardent science fiction consumer since grade school (anyone remember “Rusty’s Space Ship” illustrated and written by Evelyn Sibley Lampman? A masterpiece of genuine all-wooden spacecraft adventure, to my 4th grade mind.) And 2. I’ve also been an animal person from my earliest memories. More recently, after moving to a farmstead with lots of pastures, barns and outbuildings, I started volunteering with several different horse rescue and wildlife rehab groups. So, I found myself interacting with veterinarians and accumulating some amateur vet know-how. Zenn Scarlett is the love-child of these two passions. 2) I'm sure you had to do extensive research for this book, because even though it features alien biology, it's still biology. What was a surprising/disgusting/extremely cool discovery you made while writing Zenn Scarlett's story? Actually, writing the “biology” sections of the book took less research than some of the “Martian environment sections.” My long-term interest in animals also included a fascination with the astounding organic machinery that makes life work. I mean, if you stop and give serious thought to the details of what your own body doing right this second, it borders on the incomprehensible. How your eyes have adaptive lenses to deliver this picture of the world to the retina and zip it along to the parts of the brain that construct what you’re seeing on the screen in front of you, how your heart moves blood through miles of veins and arteries, how the arteries grew along their miles of pathways in the first place, the way evolution basically took sea water and, over a few millions of millions of years, morphed that water into blood… I could go on. And on. But, it was of course enjoyable to extrapolate known biologies into the alienesque, stealing from a prehistoric architecture of, say, a plesiosaur and incorporating it into something like a Tanduan swamp sloo. That sort of blending is always cool. As for disgusting, what happens when Zenn administers a vaccination to a big, lumbering yote comes from experience with animals that have a crop, like some birds of prey. They hold food in the crop for a while before swallowing it. Zenn should’ve stood a little further back after giving Ernie his shot…. 3) I know you are a big fan of sci-fi - what are your favorite YA sci-fi titles? Just a few faves would be Pullman’s His Dark Materials series, the classic Edgar Rich Burrough’s Princess of Mars/John Carter Barsoom books (and, unlike some, I thought Disney’s John Carter was a grand movie in the swash-and-buckle genre), Jonathan Howard’s Katya’s World, A Wrinkle in Time, Revis’s Across the Universe, Kim Curran’s Shift, too many more to remember, let alone name! 4) Do you have any hidden (or not so hidden) superpowers? 5) If you could host a dinner party for any fictional literary characters, who would you invite and what would you serve? I’d send out invitations to Merlin from T.H. White’s The Once and Future King (because, well, MERLIN! ), Ford Prefect from HHGTTG (this guy has been places and I wanna hear about ‘em), the gruff-but-irresistible polar bear Iorek Byrnison (I wanna hear whatever he’s got to say), Jones, the war vet from Neuromancer (I hear he cleaned up his act and is now counseling other dolphins) and, of course, Death from The Book Thief, because I have some questions for him. I’d serve my world-famous, simmered-all-afternoon rigatoni Bolognese. Crème brûlée for dessert. Champagne for everyone. Except Death. Sorry, but why chance it? 6) What books are on your nightstand (or wherever you keep your to-read pile) right now? I’ve only got a few that are physically on the nightstand right now: Redshirts by Scalzi and Ashfall by Mike Mullin (who was kind enough to give Zenn Scarlett a really marvelous endorsement). In ebookery, I’m chomping at the bit to dig into my advance copy of T.L. Costa’s SF thriller Playing Tyler. And I also need to snap up E.C. Meyer’s Fair Coin and Quantum Coin, which have such a grand premise: what if your choices in life had a re-do button? Thanks for answering those questions, Christian! If you’d like to learn more about Christian, check out his website or follow him on twitter. Zenn Scarlett will be released by Strange Chemistry/Angry Robot Books on May 7, 2013. Want a copy of Zenn Scarlett for yourself? Enter the giveaway! Simply fill out the FORM. One winner will receive a copy of the book courtesy of the folks at Strange Chemistry. Giveaway open internationally, will end at 11:59pm EST on May 6, 2013. Winner will be selected randomly and notified via email. Prize provided and mailed by publisher. Good luck! Fine print: giveaway courtesy of Strange Chemistry. I have read Anne Bishop before, and I really enjoyed the worlds and characters she created (I read her Ephemera series). 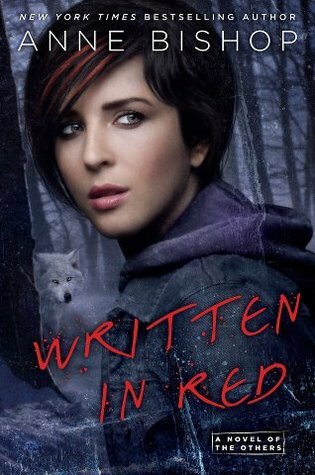 Even so, I was skeptical when I saw her name on the cover of what looked like a very stereotypical adult paranormal fantasy. I have read some great titles in the genre, but in between I have had to weed my way through plenty of ‘did not finish’ books, sometimes after I’d been promised a rip-roaring good time. What convinced me to pick up Written in Red, then? Another reader’s reaction. Wendy Darling of The Midnight Garden wrote an amazingly positive review and I thought: I’m on a werewolf kick anyway (The Silvered, The Shape of Desire), this is Anne Bishop, readers I trust loved it, and I like the sound of the set up. Dear goodness, am I glad I bought in. I read the book all in one (very long) night, and I thought and dreamt about it for several following. Tonight I’m feeling a strong compulsion to re-read it as I write this review. Friends, Written in Red is addictive. Meg Corbyn is a blood prophet. When her skin is broken, she sees visions – valuable ones. In her world, that means that her body is a product and her life is not her own. When Meg escapes from her Controller and stumbles on the preserve of the Others, she thinks she’s found a reprieve. The Others, who are elementals, shifters and beings that have no name, make a place for Meg. But Meg’s keepers want her back, and the Others, led by Simon Wolfgard, will have to decide how far they will go to protect this human, and what it may mean for their world if they decide to keep her for their own. As a character, Meg is a bit of a blank slate. She’s been enslaved her entire life, and a lot of her experiences in this book are ‘firsts.’ She’s putting intellectual knowledge together with real life, and sometimes it adds up to four, and sometimes to five. That said, she has strong convictions, a moral sensibility that remains unshaken, and a way of making connections with those who would frighten anyone else. It is this last quality that wins her a place in the Lakeside Courtyard, and that makes others so willing to fight for her. While I liked Meg in this installment, I can’t wait to see what she’ll do next with more history and practical experience under her belt. And please, PLEASE Ms. Bishop include a romantic plotline sometime soon (though i completely understand why there isn’t in this book. she’s just so new to making decisions!). What really shines in this book? The world building, the politics, and the community of Others. Bishop has created an alternate New World peopled by terra indigene, paranormal creatures who view humans as interlopers and prey. This makes for a skewed power balance, as humans are the minority population, and they depend on the Others for resources and, essentially, permission to live. The politics of this, the working out of who lives and who dies and the whys and wherefores behind those decisions is absolutely fascinating. Pair it with unscrupulous humans in control of a force of blood prophets, and portrayals of damaged and lonely people, and you have a setting fraught with tension and emotion. In the midst of all of that, Meg and the rest of the characters grapple with fundamental questions of the human experience: What will fear lead you to do? What does kindness mean, and how is it experienced differently person to person? What is the relationship between image and truth? It is absolutely gripping reading. If I have a quibble (and I don’t, really), it is that you get to know everyone and their motivations except for the villains. This is another thing that further volumes in the series may address. Do I really want to empathize even the tiniest bit with these bad guys? No. They’re all evil all the time. So even my objection is a non-issue. In case I didn’t bring this home to you before, Written in Red is excellent. Read it! And please ignore that cover art. Okay, I’m done. 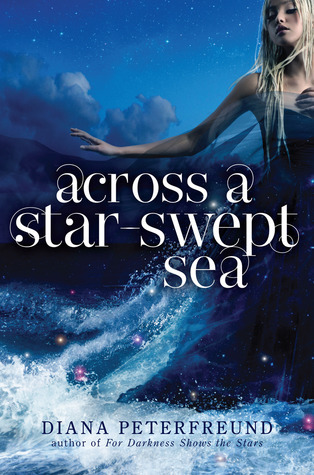 Recommended for: fans of Emma Bull, Wen Spencer and Michelle Sagara, and those who like fantasy books full of issues, tension, and unforgettable world building. 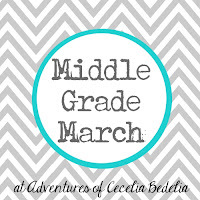 We’re already a week into April, but I never did a wrap-up of Middle Grade March, so this is it. At the beginning of the month I had a long list of planned blog posts, lots of catch-up reading, and some pretty impressive (read: unattainable) goals. Life happened. And that’s okay! I reviewed (and liked) Lisa Graff’s A Tangle of Knots, Philip Reeve’s Larklight and Neil Gaiman’s Odd and the Frost Giants. I also reviewed Kelly Barnhill’s Iron Hearted Violet, which had some interesting fairy tale elements but didn’t work for me in the end. In addition to a couple of giveaways and posts about books I’m looking forward to, I made a couple of lists. The Top Ten Middle Grade Books I Had To Buy…But Remain Unread and the Top Ten Middle Grade Books I Recommend Most are full of books I hope to read or suggest often to others as sure bets. 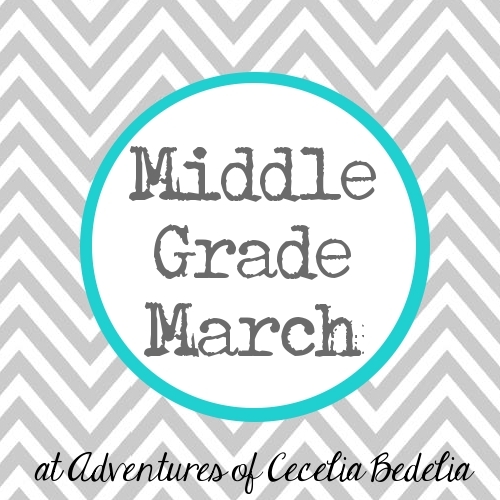 March was about reading at my own pace and finding new and wonderful middle grade fantasy. I’ll be back next year for more! Blackberries remind me of thorn-scratched hands, warm summer days, and juices bursting on the tongue while picking berries off the vine. I rarely buy them because they never seem as good as fresh and foraged. Last week when I saw blackberries in the produce aisle at my grocery store it seemed like a promise that summer is coming, so I purchased a package. Then I went to the internet for a blackberry recipe. I was distracted by cake. That turned out to be a good thing. Position a rack in middle of oven and preheat to 350° F. Butter pan; line bottom with a round of parchment paper. Butter parchment. Dust with flour; tap out excess. Arrange berries in a single layer in bottom of pan; sprinkle evenly with 1/4 cup sugar. Combine 2 1/3 cups flour, baking powder, salt, and baking soda into a medium bowl, whisk and set aside. Using an electric mixer, beat 3/4 cup butter and remaining 1 1/3 cups sugar in a large bowl at medium-high speed, occasionally scraping down sides of bowl, until pale and fluffy, about 2 minutes. Add eggs, one at a time, beating well after each addition. Beat in vanilla and zest. Reduce speed to low; beat in flour mixture in 3 additions, alternating with buttermilk in 2 additions, beginning and ending with flour mixture and beating just until incorporated. Pour batter over berries in pan; smooth top. Bake until cake is golden brown and toothpick inserted in center comes out clean, about 1 hour 10 minutes for a 9" pan (check continuously from 45 minutes on, as oven temperatures vary). Let cool in pan for 15 minutes, then run a thin, sharp knife around the edge of the pan to loosen. If the cake rose past sides of pan, cut off excess so that cake will sit level on plate. Invert on cake plate and remove pan. Peel off parchment. Dust top generously with powdered sugar and let cool completely. Note: the original recipe called for a springform pan, and though that may have made it easier to invert, I had no problems using a traditional pan. Also, I don’t have a KitchenAid, but a simple two-beater mixer works just fine. Recommended for: a delectable and polished dessert for those who prefer cakes without icing, and as a perfect accompaniment to a spring tea or light summer supper.